Delight the love of your life with this lovely lavender bouquet. 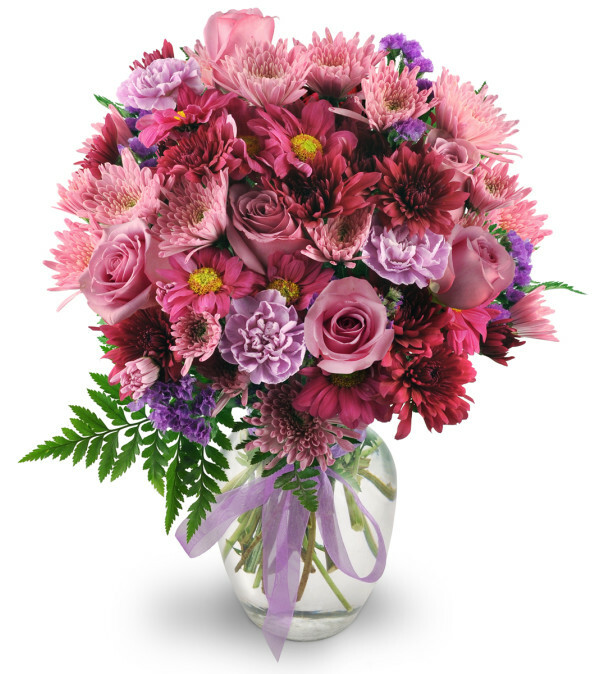 Purple Moon features exquisite lavender roses and carnations, pink daisies and pink and burgundy mums. A striking purple ribbon highlights a classic vase. 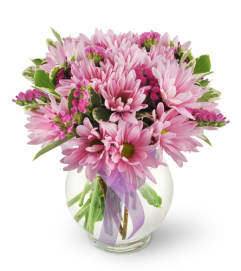 Roses, carnations, chrysanthemums, and statice in shades of pleasing purples are expertly arranged in a clear rose vase. I'm halfway across the country and they delivered them perfectly on time. Great service and Beautiful flowers. The girl loved em. Got there on time and beautifully made, even though I ordered it online from the UK! So happy ! 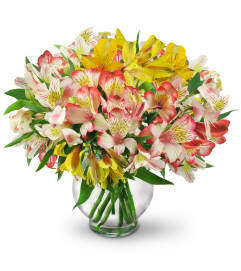 Vaillant Florist is a Lovingly Florist in Thunder Bay. Buying local matters. Discover how Lovingly supports local florists. Copyrighted images herein are used with permission by Vaillant Florist.